During an event honoring Martin Luther King Jr. on Monday, Representative Alexandria Ocasio-Cortez (D., N.Y.) cautioned the audience that climate change would "destroy the planet" by the year 2031 if people fail to address a generational challenge she likened to "Word War II." "Millennials and people, you know, Gen Z and all these folks that will come after us are looking up and we're like: 'The world is gonna end in 12 years if we don't address climate change and your biggest issue is how are we gonna pay for it?'" Ocasio-Cortez told interviewer Tanehisi Coates at an "MLK Now" event in New York. 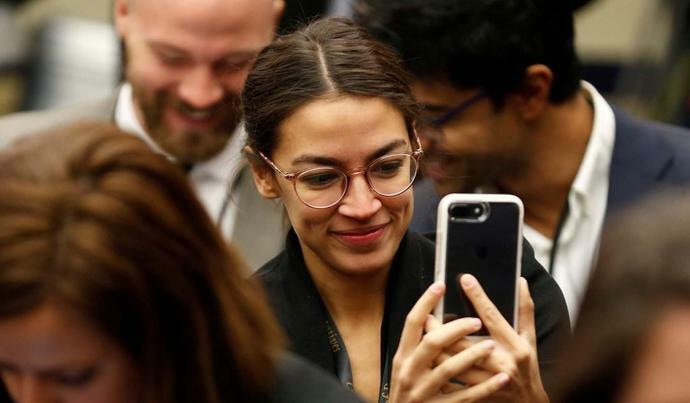 Much of the intra-party dissension centers around Ocasio-Cortez's focus on developing a so-called green new deal to address climate change by transitioning the U.S. to purely renewable energy within the decade. She was rebuffed by party leadership after publicly demanding, just days after arriving on Capitol Hill, the creation of a specific committee to address the issue.